A key aide to an embattled county supervisor has dropped his lawsuit against two of his former colleagues, attorneys confirm. 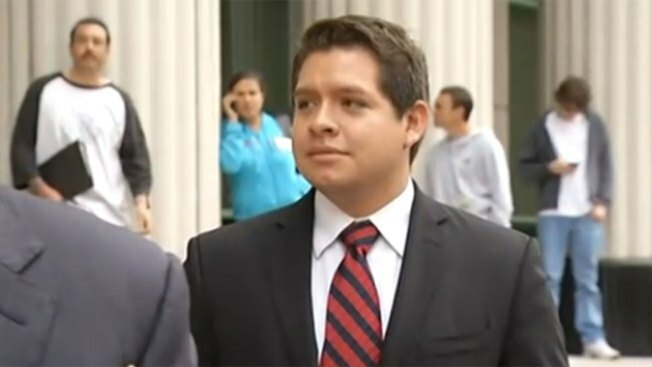 Harold Meza, who works for San Diego County Supervisor Dave Roberts, had claimed Roberts’ former Chief of Staff Glynnis Vaughan and former staffer Diane Porter “spread despicable rumors” about him, including allegations he was nothing more than a former Starbucks “barista” and “young male driver” who was unfit for the job and was having an affair with Roberts. Meza’s lawsuit alleged Vaughan and Porter created a “hostile workplace” and caused him emotional damages. Both Meza, who says he is not gay, and Roberts, who is open about his homosexuality, have repeatedly and forcefully denied rumors that they are romantically involved. Meza’s attorney, Dan Gilleon, and Joe Kutyla, the attorney hired by the county to defend Vaughan and Porter, both confirmed the lawsuit was settled last week, and will be formally dismissed by the court. The attorneys also told NBC 7 Investigates that neither Vaughan, Porter nor the county will pay Meza any money or make any admissions, in return for the dismissal. Last month, county supervisors approved a $310,000 settlement related to those claims. Gilleon said Meza “decided to dismiss the case and pursue his own political career.” He also said Meza would have received a financial settlement if he had pursued the lawsuit, but realized that doing so would expose Roberts to more criticism from Republican opponents, since any lawsuit payment would be made by taxpayers. “The last thing Meza was going to do was take money and give the Republicans more ammo against Supervisor Roberts,” Gilleon said. Attorney Kutyla said the lawsuit was completely without merit and was filed for purely “political” reasons.